Track: Windy &amp; Co. | Game: Conker&#39;s Bad Fur Day | Composer: Robin Beanland. Track: Windy & Co. | Game: Conker's Bad Fur Day | Composer: Robin Beanland. Conker's bad Fur Day, in my honest opinion, the last great game developed by Rare, it was quirky, foul, unique and most important of them all, it was fun. Retooled from the defunct Conker's Twelve Tales, Conker's Bad Fur Day was a game that broke all the boundaries that existed regarding the heavy censoring surrounding console games, especially on a Nintendo console. Yet the game was not praised for it's violent and vulgar nature, but for how well it mixed great writing and gameplay. This song is extracted from the overworld stage, and in a very Rare-esque fashion the song changes depending on the area of the world. 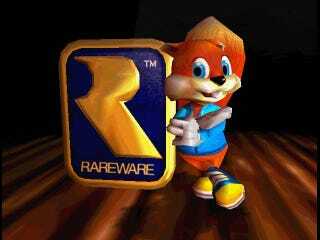 There's a live version of the song that was recorded for the Xbox re-release of the game, Conker Live & Reloaded. I'm not going to deny it guys... it is way better than the original arrangement.